The second-generation Q3 has a more upright appearance and a new, larger octagonal grille. 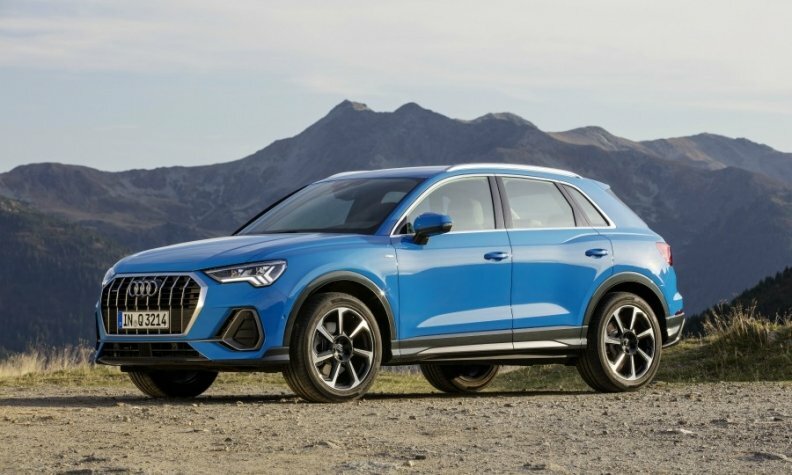 Audi expects its new Q3 to appeal to women buyers despite its more “masculine” design compared with the soft look of its predecessor. Female customers, just like men, have professional lives and want a car that reflects their equal status, Audi exterior designer Matthias Fink said. “It was an error in the past to think that all women want sweet cars,” he said. The second-generation Q3 gets a “bodybuilder” style makeover with a more upright appearance and bulging sides. Its large new octagonal grille and big side inlets also help give it a more masculine look, Audi said. The compact crossover is a key model for the company. It’s Audi’s No. 3-selling model globally after the Q5 SUV and A4 sedan, accounting for just over a tenth of the automaker’s overall volume. Besides the fresh design, Audi hopes enhanced driver safety and assistance equipment, a new digital dashboard and more interior space will help to boost sales. Connectivity: The car has an on-board Wi-Fi hotspot and myAudi app connects a smartphone to the car. Engines: The Q3 offers a choice of three turbocharged, four-cylinder gasoline engines and one diesel unit in combination with front-wheel or all-wheel drive. Special feature: Buyers can accentuate the Q3’s SUV look with a contrasting paint finish for lower body section attachments. The Q3 moves to parent Volkswagen Group’s MQB architecture from an older platform. The Q3 is 96mm longer, 18mm wider but its height was trimmed by 5mm compared with its predecessor. The wheelbase is 77mm longer, giving more knee room, headroom and elbow room. Audi replaced the analog instruments on the dashboard with its new digital instrument cluster. A 10.25-inch screen is standard. Customers can also opt for Audi’s “virtual cockpit” with added functionality features including music track information and navigation on the driver’s main screen. The Q3’s more sophisticated safety equipment includes a so-called “adaptive cruise assist” that uses sensors and cameras to help monitor what is around the vehicle. The system helps the driver to accelerate, brake and steer in traffic jams or on long journeys. A “pre-sense” front safety system that can automatically brake to avoid collisions with pedestrians, cyclists and other vehicles is standard. Audi has moved production of European versions of the Q3 to Gyor, Hungary, from Seat’s factory in Martorell, Spain. Audi A1 production replaces the Q3 in Martorell after moving from Brussels, where the company is building its new e-tron full-electric SUV.